With the ever-changing tax rules and whole range of exemptions and deductions, tax season can become overwhelming for some older adults. However, a few simple measures can help make tax planning and filing easier for your loved one. Georgetown elderly care professionals suggest the following 4 points to bear in mind when helping your loved one do his or her taxes. Medical expenses exceeding 7.5 percent of a senior’s adjusted gross income can be deducted from tax. These deductions can save thousands of dollars a year for seniors with serious medical issues. For this reason, they should keep records of all medical expenses such as insurance premiums, prescriptions, procedures, physical therapy, hearing aids, eyeglasses, and mobility devices. Retired adults often receive income from many different sources, and each of those sources must be accounted for. If they are receiving financial help from family members or loved ones, this information should be included in their tax returns. 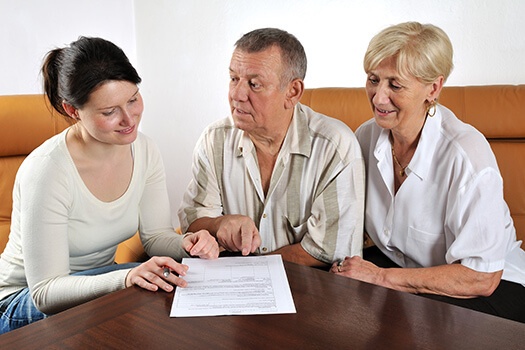 Most banks have programs to help family members keep track of the money they sent to their senior loved ones. You can also consider writing receipts. Taxes can be extremely complicated, which is why many people turn to professional tax preparation companies and specialists. However, con artists often steal personal information by pretending to be legitimate tax specialists. As a general rule, seniors should only work with reputable companies that have been officially approved by the IRS. Your loved one may also need to be reminded that the IRS never requests personal data over the phone or through an email. While it might take your loved one a few minutes to learn how to use new tax software, this technology can save plenty of time. IRS-approved software is secure and can also help your loved one discover new deductions. Some of the companies offering this software even have trial accounts that allow users to file their taxes for free. While you work out important details, you can rely on Home Care Assistance to look after your aging loved one. Our senior care plans can include healthy meal preparation, mobility support, transportation to appointments, and light housekeeping, giving you a well-deserved break from your caregiving duties and placing your loved one’s care in capable hands. 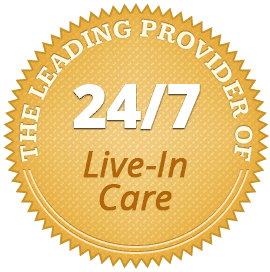 For compassionate, professional, and high-quality respite care, Georgetown families can call us at (843) 353-3105.